Parametricism, according to Patrik Schumacher, is the next great “style” of architectural design, being the victorious champion over the mighty Modernism and its Postmodern and Deconstructivist minions. To him this new style transcends all of its predecessors both formally and functionally in a way that no style has done before. Based not on the classic shapes (cube, sphere, cone, etc.) as previous styles were, but rather on an entirely new set of elements (spline, blob, fabric, etc), the nature of parametricism is fundamentally different. Where before architectural design was more or less strictly dictated by a designer who then “plunked” that design into a site, the role of the parametric architect is more of hand which guides the digitalization of a design which grows organically from the site. The idea, then, is that these forms become highly relevant and functional in many non-traditional ways. By definition, parametric designs are bound to the guidelines placed on them by the architect, but are otherwise free to be manipulated in seemingly any way imaginable. Yet the strength of this new “style” is – for now – also its greatest weakness. There is a profound lack of established materiality within the idea of parametricism – in part because few existing materials and methods suit it. Simply, nobody has figured out a really great way to construct parametrically designed buildings. This is an interesting dilemma, because this is actually the first architectural “style” we see that is being pioneered by design technology rather than building technology. Whereas the Gothic style was made possible by the invention of the flying buttress and the Modern movement was precipitated by the mastery of steel and concrete, we are seeing Parametricism being born from virtuality. This poses a unique problem in that construction materials are almost an afterthought rather than a design point. We imagine the architect finishing his design, reveling in it momentarily, then muttering, “Now how the hell do we build this thing?” A simple Google Images search of ‘parametric design’ reveals this dilemma starkly by producing an endless catalog of blobby, off-white renderings – often without context and nearly never with details. Even if you venture to the website of Zaha Hadid Architects – the firm at which Schumacher himself is a partner – you will find more of the same. And these are the people who are said to be pioneering the style! To be sure, Zaha Hadid Architects does a fantastic job with making their buildings actually look like the renderings they produce – and that’s what makes them such a good firm – but many firms do not do such a good job at bringing their conceptual designs to life. This is largely because they’re just so hard to build. In fact, we really only see parametric design being built by huge institutions and corporations because they’re the only ones who can pay for the materials and the highly skilled construction crews required to erect these buildings. In order to bring this architecture to the people, we will have to re-examine what we understand about building materials, or even invent a few new ones – a process which will take years. …are simply too enormous, by my estimation, to be fully appreciated. This is design that goes way beyond the human scale, and even though it may be the most functional shape possible, it will be easy for designers to overlook exactly how this becomes a livable and tactile place. Speaking of functionality brings up another interesting thought which, unfortunately, many architects also look over. This is the lifespan of the building. Over the course of its lifetime, a building may have one single function, or it may have many. What was a theater one year might be a boathouse the next, or what was a hotdog joint might soon be a laundromat. There’s really no way to tell. So with buildings whose forms are so intimately tied to their function, down the road, we might find that the structures themselves are actually quite useless once the company goes out of business or the circus leaves town. And at this stage, how sustainable are we really being? To be sure, parametricism as an idea is fascinating and holds immense promise as the future of architecture. However, I would call for several things to happen before we fully embrace it as the next architectural “style”. First, we need to figure out how to teach builders how to construct these buildings cheaply. Second, we need to develop a materiality (either natural or synthetic) that will keep these buildings from appearing as alien spaceships. Third, we need to address the issue of scale and learn how to make these projects appreciative of individual human space while simultaneously making the necessary connections to site and environment. Finally, we need to examine the longevity of these designs in order to assure that they will be equally as relevant in 50 or 100 years as they are right now. Nobody has the answers to these questions, but I believe that in order for parametricism to really take its place in architectural history – and not just fade as another “transitional” phase – they will have to be answered by somebody. Parametricism is something that I have always felt like had more applications then what I knew of. I originally only saw it as applying to facades via an ecotect analysis. Once I began learning of Grasshopper and how its matrix like setup can manipulate pretty much any aspect hats when I began to start comprehending the implications of such a way of thinking. When I watched Patrick Schumacher’s talk of his coined term ‘Parametricism’ I began to realize the big picture of what this new way of designing really looked like. A world where you can just insert the conditioners and all the reactionary commands will format your building quite like a correct answer. Schumacher begins by claiming that Parametricism is the new style of our age, similar to Modernism before us. While this is a fantastic claim I believe it has some truth and some fault to it. I disagree in implying that it is the only form or way to design in our day and age, but I would agree that overall Parametricism is likely to be the most dominate form of design or world view for years to come. I believe the arrival of Parametricism goes hand in hand with the arrival of the Internet and the age of electronic data. After spending our existence discovering the ‘new’ frontiers of our physical world we have finally come to a completely new place in the Internet. It is a new frontier of which we have only begun to scratch the surface. Largely, this whole new environment is unregulated and therefore the possibilities as of now are only restricted by the user’s mind. This Brave New World is one where anything is possible. With the new age of computers and data there begins to be a new form of language. The language of numbers, programs, and scripts. This new language allows us to make things that, in the process of creation, are outside of our minds. This new language is equipped with a technology that ‘fills in the blanks’ per say. These blanks are where Parametric design can really become something amazing. We fill in these blanks with analytical information, or creative information, anything you can think of really. This idea of Parametricism is what comes out of filling in the blanks with things that one wouldn’t normally expect. If one puts in financial data, perhaps one could formulate a new way of looking at data tables. If one puts in fashion trend data, perhaps one receives a new way to think about clothing. If one puts in numbers of creative importance, perhaps what comes out is the Picasso of our time. Even in writing this I realize that I could really go on forever about the possible applications. With this view of Parametricism as something so large I can’t help but compare it to the Internet itself with its infinite application. I will admit that perhaps they are not even in size but one can see the relation. In architecture, the really cool thing about Parametric design is that because the overall form is generated by the same data source the product in the end is a combination of pieces that all aesthetically respond to one another. In other words the design seems more uniform in style throughout the project. Perhaps an implication however, to parametric architecture is that with all this creative freedom we can create amazing shapes without the power to actually build them. This leads me to think that there will be a new universal material needed. Whereas now we are in an age of steel construction, I believe we will move closer to a more digitally compliant material. If all things are being designed digitally, why not build them digitally as well. In this I mean perhaps building at a large scale will be 3D printed. Maybe the new building material is to be a super strong polymer of some sort. Something that is liquid as it’s printed and sets in a way that is structurally locked. I leave this open to suggestion. The design industry was forever changed with the introduction of digital parametric design. Parametric design refers to parameters controlled or influenced by a set of standards, algorithms, equations, and/or relationships. A form can be influenced by these parameters when they are represented/linked to building components, demographics, environmental conditions, ect. For example, if a building skin was covered with windows but they changed in shape, size, and/or spacing due to the amount of natural light that was to be emitted into different spaces. This can be controlled by parameters, and changed at any time. The designers invested time is also decreased because the form will change with the parameters with little to no redrawing. This process was not impossible before the aid of computers, but now extremely simplified and more realistic to use. The use of parameters in design is not limited to parametric design and digital fabrications. Parametric thinking has been taught and studied in Architecture studios around the world. Parametric thinking influences the creating of space and form by a series of parameters with standards and relationships linked to create a spatial system. These spatial systems influence a designer to think about the action and reaction of each decision they will make. This also makes the designer think and work through their process rather than allowing a computer to create a form for them. The application of both methods has its place in Architecture, and other design industries. When thinking about the practical application of parametric design and thinking, many questions could be raised. What are the advantages to using one over the other? Can they be used in conjunction with one another? Does parametric design take away from the creative thought process of the designer? Does parametric thinking become to complicate for the designer where the chance for human error is high, and the design process takes a while? In a college studio setting I see parametric thinking as an advantage over parametric design initially. Understanding how to apply parameters to a design before it is a digital form would develop the thought process without the aid of computers. Developing those skills initially would only help the digital application because the designer would have an understanding of the overall outcome before the computed parametric form was presented. The student would also not be dependent on software to produce the structure they desire. In some ways they can be used in conjunction with one another. I see parametric thinking used in the design development phase. The initial parameters can be set and worked through quickly in a rough, rudimentary way. 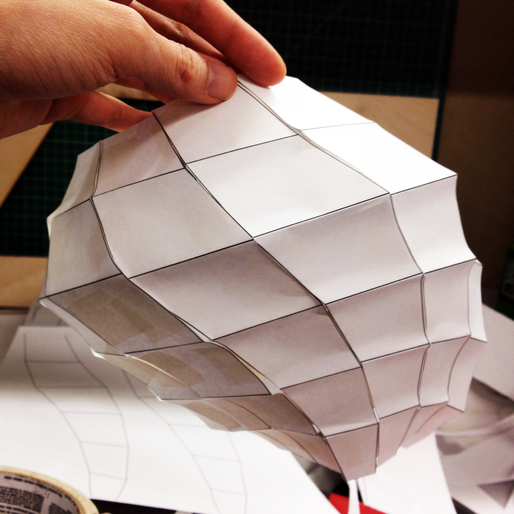 As the designer begins to solidify their form/space, a digital model can be created. Already knowing the parameters they want, the digital form can help refine the design. The digital copy can also reveal error made, or problems they were not realized in the initially. There is no doubt that architecture is on the verge of big changes. Advancements in computers, 3d modeling, and satellite technology have changed the building design process that has been prevalent for years past. Patrik Schumacher argues that we need to be moving towards an entirely new style of architecture, which he calls “Parametricism”. 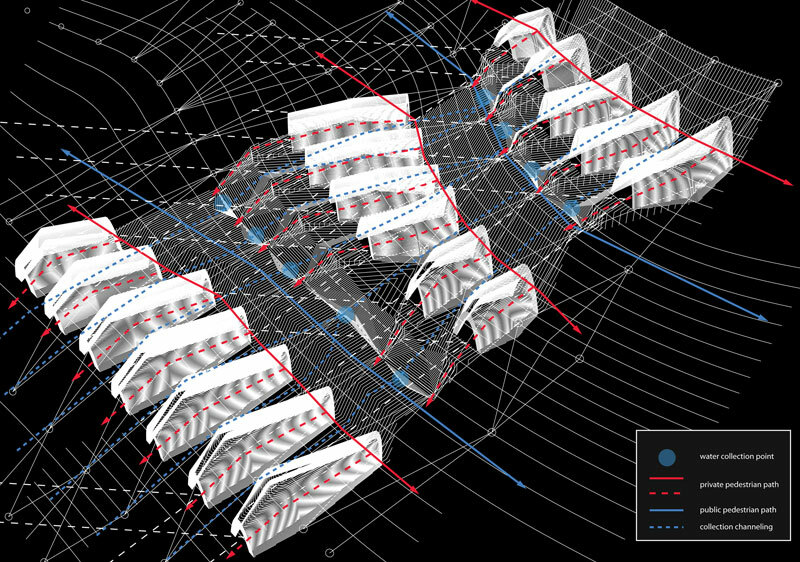 This is a style strictly dealing with parametric design of architecture and urban form, using “form-finding” digital tools that generate building form based on local information and site conditions rather than traditional methods of collecting information and applying it to building design in your own unique way. The real question is if parametricism is a direction that architects need to be heading in, or if it’s just another sub-style of current Post-modern architecture? At the Intensive Fields 2009 conference, Patrik Schumacher had an exceptional lecture introducing and explaining the effectiveness and need for parametric design. One of the first things he talked about was the negative and positive principles that are included with parametricism. On the negative list he describes that there are no rigid forms, no simple repetition, and no collaging of isolated, unrelated objects. On the positive list he describes that all forms are soft, all building systems are differentiated, and all systems are correlated. The positive effects of parametric design are extremely rewarding. Having the ability to specifically “engineer” a façade that correlates to both internal needs and external qualities is a revolutionary concept. Schumacher also talks about the development of building form through surrounding factors. 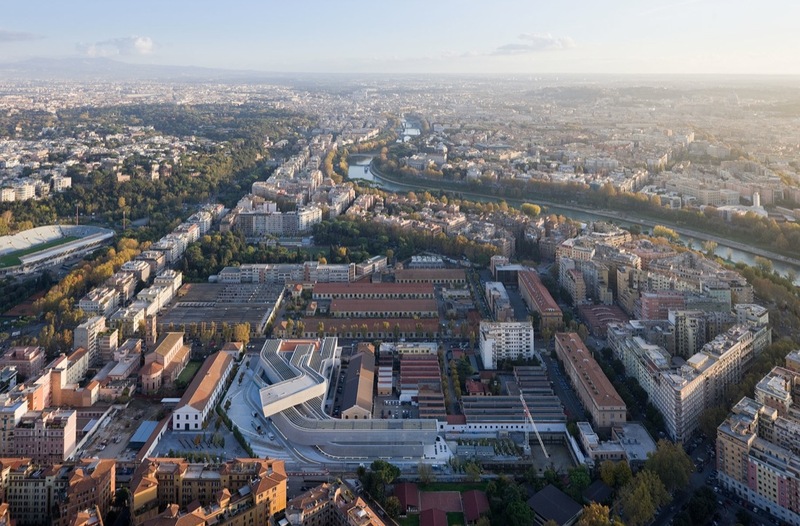 The first project he introduces, Museum of Contemporary Art and Architecture in Rome, replicates the exact form of lines generated from the continuation of surrounding buildings. This gives it a definite place on its site, fitting it in seamlessly with the intersecting grids of the surrounding city. All the techniques that Schumacher explains have been taught to us through our years of schooling, the only difference is that in parametric design the form is generated for you, while in non-parametric computational design the architect finds that form on his or her own. This is where I ask the question, why do we need to be heading into an age of “Parametricism”? What’s so wrong with our current style of design that we need to drop it completely? I think that Parametric design is a good direction to be heading, but I’m going to introduce a couple recent projects that are very successful, and still achieved through a design style of letting the computer assist, but not create, in the design process. The Delta Shelter by Olson Kundig Architects is an example of post-modern architecture that is both extremely functional and successful. Shown below, many different factors were taken into account in the design of this structure. It is lifted off the ground in case of local flooding, all four walls can close up to lock the structure down when the occupants are away. The simple form keeps cost down, leaving room in the budget for more attention to detail and a focus on keeping a close relationship with the occupant. There are multiple aspects of the home that keep the space comfortable and connected. This is a case where an architect getting truly connected to his project results in a space that is truly connected to its user. It’s not just a large beautiful space, its relatable, usable, and comfortable. It’s a perfect example showing that when the base of a project is connected to human nature, the project itself will interact smoothly with the human user. The second building I want to talk about is set into an urban setting, where I can personally see parametric design thriving more than in a private setting. I chose this building because it takes into account multiple different factors that make it extremely sustainable and functional. The ZCB by Ronald Lu and Partners is the first zero carbon energy building in Hong Kong. Passive design was used throughout the design of the exterior and interior. This buildings form was inspired by the local climate, its orientation was inspired by the sun’s path, and its layout and envelope enhance natural ventilation, daylighting and solar shading. This is a case where I’m sure that if you parametrically designed a building, according to climate conditions, of similar size and in the same geographical location, you would end up with a very similar form. When a building is passively designed, the form is inspired by data just as in a parametrically designed building. The only difference is that rather than being engineered on a computer it’s created by the architects. What I truly enjoy about the idea of parametricism is that when it is used correctly it can produce buildings that respond to many different site factors at once, which is what makes a building successful. Newer parametric techniques of generating custom facades according to solar shading is an extremely successful way to conserve energy, and being able to do that while taking into account the views out form the interiors something that is made easy due to parametric design. What I don’t like about parametricism is the belief that it is universal, and that it should be the only type of design used in the future. There are countless parametric buildings that don’t even begin to approach the successfulness of the buildings I discussed earlier today. “Blob architecture” that merely sits on its site surrounded by orthogonal buildings is a perfect example of parametric design that hasn’t been perfected. Sure it looks pretty with its sweeping lines and curvaceous form, but trying to fit an organic blob into a strict city grid is not exactly pleasant. There are good and bad examples in all types of architecture. I think what we need to be heading towards is not strictly parametricism, but rather a passive, technology driven design technique. In some cases this will mean a parametric building, but in other cases traditional building design will triumph. The idea of Parametricism is “the utilization of a digital design universe to design a world with its own creative laws, logics, and associations” (Schumacher). These laws, logics, and associations can be made to follow a sustainable logic flow. The problem with parametric buildings today is that they are focusing on the overall look of the building instead of following sustainable logic flows. The reason why I think that making parametric design sustainable and efficient is that Buildings account for 20-40% of the world’s energy usage. The power of parametric design is that the design comes from scripts of information. Architects such as Zaha Hadid use these scripts to make advanced parametric forms without the thought of environmental impact. Instead the scripts should consist of environmental data, such as solar impact on the building. Where to start looking for sustainable solutions? What part of the design process is most important? According to a study done by Borong Lin Qiong Yu, Ziwei Li, Xiaoru Zhou, where they researched the topic of parametric design for energy efficiency, the scheme design is the most crucial. They argue that “57% of energy saving techniques can be considered during the scheme phase”. Items that should be considered during this phase are: climate considerations, future energy and water implications, and information modeling. When considering these different aspects during the architecture design process, an architect can make a building more sustainable. One project that has taken the idea of sustainable parametric design is Eco-Sustainable Housing done by Federico Rossi. Rossi came up with his design “through the accumulation of independent variables into a system of relationships, where the interdependencies generate a variation of possibilities that is able to adapt to local conditions”. One technique that he used is “the use of local materials (limestone) and simple manufacturing techniques” The use of local materials allow for sustainability because it promotes the local economy and cuts down on the emissions that are caused from long transportation of materials. There are two main parts to the building that can be made sustainable. Those two parts are the interior and the exterior. Interior of the building can use passive strategies such as solar heat gain and loss. This can be done parametrically by placing different programs in areas that need to be heated or cooled. The exterior can have a “skin” over the whole building which can have sustainable attributes. An example of sustainable skin is “Para Eco House, the design team of Qian Lie, Yu Zhongqi, Jin Dong, Jia Dongfang, Wu Xiaofan, Luo Guofu, Zhao Shijia, Cao Hanxiao, Cao Ke, Lei Yong”. The skin is made of bamboo and designed parametrically to help with shading. The other portion of the exterior is the roof which is a “dynamic solar roof that is controlled by algorithms to maximize performance”. As our society barrels towards an exclusively digital future, the simple geometric pillars of design established by the era of modernism become increasingly unrelated to the subjected populace. The death of modernism in Architecture left a massive gap in approach and meaning for architects of the new generation. Patrik Schumacher argues that Post-Modernism and Deconstructivism, though inevitable counter movements to Modernism, still fall short of redefining the future of architectural design. Schumacher contends that the wait for a new style of the discipline is come to an end as the beginning of what he refers to as Parametricism has already taken root. In contrast to simple parametric design, parametricism champions the techniques of computational programming but applies it to a multiple of sub-systems (envelope, structure, internal subdivision, navigational void) that compose an entirely new spatial construct. In other words, rather that inconspicuous neutralization of differences in the urban fabric, parametricism goes one step further to conspicuously amplify those differences. Tectonic relations are the principal rather than simple façade engineering. At its core, parametricism reflects the intensification of relations, within the building and of that building within an urban system. As Modernism championed the monumental, Parametricism promotes correlation. I agree with Schumacher that the era of the line has ended, while the reign of the spline has just begun. The intricacies of our calculated society can no longer be defined by the restrictive use of elementary shapes. Challenging Le Corbusier comes hand-in-hand with redefining the modernism principles of design. Though simplicity has not yet lost its value, the difficulty involved with computational design is a necessary procedure in order to progress the learning curve associated with parametrically driven design processes. The restrictions, both mental and physical, of the latest economic downfall must not become a hindrance towards progress. The pragmatic approach no longer maintains the same value as it once did since the principles behind it are no longer valid. Architects of the generation above my own fail to recognize their aimless pattern of so-called logical practices. In their ignorance, they are only progressing an aesthetic that lacks overall differentiation. The modern city presents a collage of unrelated elements. This blinding visual chaos reflects a lack of orient-ability. What is thought to be a composition of several opposing standpoints is nothing more than the generic use of the core geometrical shapes. True differentiation must be erected from an entirely separate language of tectonic elements. Intelligently molded soft forms offer insight to the concrete nature of the previous aesthetic. An honest correlation to the natural environment rises from the previously naïve interpretation of nature existing within a box. Although architecture has always followed the guidelines of climate and setting, the perception of the precipitating forms has been tainted by our own humanity. In other words, the monumental entrances and rigid planning that defines the history of architecture was an impure definition of a natural course of action. There is nothing comparable in nature as neat as the intentions of mankind. In reality, the natural world is only perceived as neat through the stratification of numerous layers of disarray. Thus architecture must break the restrictions of form set by man and seek a deeper understanding of the controlled disorder found in nature. Only then will correlation and differentiation truly exist between the forms that define our urban fabric. Not to say that order and direction has lost its use. I merely wish to replace the logic of regulation offering freedom between the grid lines, with the understanding that spider webs and tree-finger matrices provide a purer expression of directionality. Architecture on a macro scale is currently full of opposing languages and void of coherence despite regimented city planning. Instead of diluting the examples in nature, a more direct interpretation is required in order to mandate an aesthetic integrity worthy of inhabitance by the future generations of our civilization. Although I am in complete agreement with Schumacher’s manifesto, I find an inherent lack of materiality to his principles. He calls for reform in the shapes and processes of architectural design, yet fails to administer a new understanding of the materials that will construct his contemporary designs. If we are truly going to redefine the school of thought that drives architecture, we must also re-construe the construction processes and material applications that compose this new identity. Just as modernism gave birth to concrete as the major new component of construction practices, so too must parametricism create an advanced system that redefines the practice of developing the future urban texture. The integration of pure natural forms will reflect false progress if the inorganic processes that construct the forms continue to taint the industry. Advances in material regulations are only the first step towards a future of rapidly renewable resourced construction. Not to say that the current over-emphasis on green building technologies is the direction of which I speak. Instead I believe the same intensity of ecological design practices should be taken out of the limelight of the current building industry and re-applied towards a parametrically driven future aesthetic. Though I do not believe the green wave to be sufficient in the definition of architecture’s future, nor do I envision parametricism to be successful without the aid of environmentally sound construction practices. Only through the pairing of the two strategies will true ecological design flourish. In the midst of ever-growing technical and cultural intricacies, the need to redefine simplicity becomes apparent. Not to be confused with elementary, the future translation of simplicity will harbor a much deeper manifestation of the social, cultural, economic, and environmental factors that drive architectural design. Simplification can no longer be equated by eliminating the loudest external elements and focusing on a smaller picture. In contrast, it must be defined through the intensification of scripting associations between multiple variables. We must rely on the technological architect to input the multitude of sub-systems and generate a computationally simplified form. Only then will the human error of over-simplification be replaced will an intelligent counterpart worthwhile of illustrating the future form of architecture. The idea that we may be moving into this new architectural generation that Schumacher has coined Parametricism, is rather intriguing. I had never considered the idea that parameters and design rules could actually become so commonplace that it would deserve its own space in history; such as Gothic, Baroque, Renaissance, or Modernism movements. I actually believe it could happen eventually, as either a collective category or a smaller portion of a larger whole, but I’m not entirely sure how soon that Schumacher’s ideas will be manifested or universally accepted. I’ve had this debate with people I consider quite practical, and they do tend to bring up good questions concerning this very style of architecture. Though, in a way, I believe each generation had its own design rules. The big difference here is the possibility that Parametricism will impact and incorporate the organizational processes of all those before it. Parametricism, according to Schumacher, is defined as when all elements of architecture have become parametrically malleable resulting in the intensification of internal and external relationships. Instead of relying on geometric figures such as the pyramid, cube, rectangular prism, or sphere; we are starting to consider new vocabulary, shapes and systems consisting of splines, blobs, nurbs, particles, and scripts. Previous styles have depended upon the shapes. Will the new style make the shapes dependent upon something greater? Could this be nature? Very few can deny the beauty in the organic forms of nature. I’m not sure I can jump completely on board with the idea that Parametricism is going to be the new “big” style for this era. How does he know this isn’t just another crisis we’ve reached trying to separate ourselves from Modernism? I understand that if this were the case, then that is indeed a huge crisis; but wasn’t deconstructavism also a big crisis? Is it because parametric solutions have been used to answer the big questions we have asked; or because it may be the solution to all of our problems? I believe this may be true, but only if it is used and applied correctly. Simply creating something using splines and blobs won’t be enough. The questions that are coming up are more about architecture giving back to society instead of always taking and being purely aesthetic. Schumacher tries to address both issues with his explanation of formal and functional heuristics in the hope that both issues may be addressed and solved with Parametricism. I am completely on board with his formal heuristics; but I don’t think he looked into all ideas in functionality. In order for the proper use of such technology, or any monumental change, a good portion of society needs to jump on board and realize the benefits of such a movement. “Complex Variegated Order” is on the verge of being considered an oxymoron. I agree with Schumacher that these changes need to be made. I have actually expressed my dislike for the cookie-cutter houses that are populating our suburbs and how those are taking away from the unique possibilities of architecture. Continuing with my example of suburban houses, parametric design might be able to unify a community with architecture that is similar but different; with a “variegated order.” Maybe one rule is changed from structure to structure, but that is enough to give each home the uniqueness that it deserves; celebrating the differences. I can see how the idea of parametric thinking might be utilized in a circumstance where one designer is creating and adjusting all the rules for a specific area, such as a neighborhood in the suburbs or in urban planning; but I don’t see how these rules can be used universally between designers. If there is an infinite amount of possibilities, what is keeping people from taking things too far? There are some that may dream of a structure that is more sculpture that building. When everything is at your fingertips, where do you draw the line? Is there a set of rules that can keep the core ideals of Parametricism from being lost in the creativity? But doesn’t that kind of defeat the purpose? Maybe this is unavoidable. Haven’t we always struggled with the balance between form and function? I cannot deny that the ideas and big picture surrounding Parametricism are very interesting and they clearly create interesting space and structure within the architecture world, but will the functional part of those spaces be lost? Will it work the way it needs to? Maybe there are a set of rules or parameters that can be put in place to make sure this isn’t lost. That idea might still need to be developed. Will there be wasted space or materials? If Parametricism is trying to tie interior with exterior, the bulbous building shapes will have to create bulbous difficult interiors. Or will the wall thickness vary so the interior can still be used optimally? Then is that really tying the interior with the exterior? The blobs, will they make everything rather difficult to work with? Will everything have to follow this new architectural movement? Maybe they already are. Industrial design seems to be taking on these kinds of concepts; maybe it’s about time architecture jumped on the band wagon. Ultimately, I am very interested in seeing whether Parametricism will become an epochal style within this generation or not. New technology has provided us with the opportunity for the extreme shift necessary to make Parametricism a reality, but we are still in the exploratory phase where we don’t yet understand the possibilities and responsibilities that this huge advancement in technology has provided. Understanding this makes me feel that advanced digital, parametric design and thinking might still be hidden in the future; but I certainly don’t see this style being passed up and ignored. I’m still concerned; will function and usefulness be swallowed up by theory? Maybe society needs this shift, but is society ready for the shift? Schumacher, Patrik. “Parametricism.” Intensive Field Conference 2009 Lectures. USC School of Architecture. California, Los Angeles. 12 Dec. 2009. Lecture.